Please enter your 8 character personalisation details in your order notes. 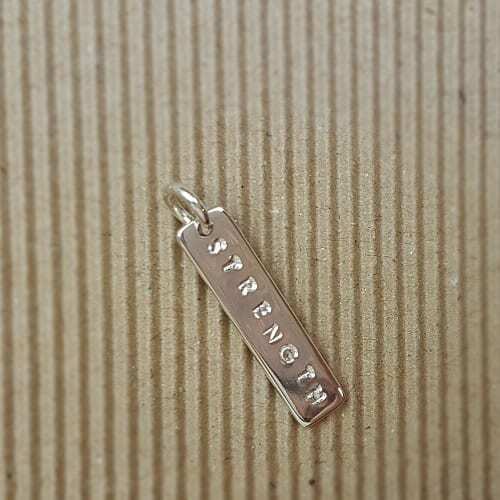 This sterling silver bar, measuring 25mm x 6mm is part of our word warrior collection, A totally bespoke personalisation, hand stamped in to this gorgeous sterling silver charm. You can simply choose to have the name of a loved one, or shoud it resonate with you more, a word. This is when the warrior within really comes to life. 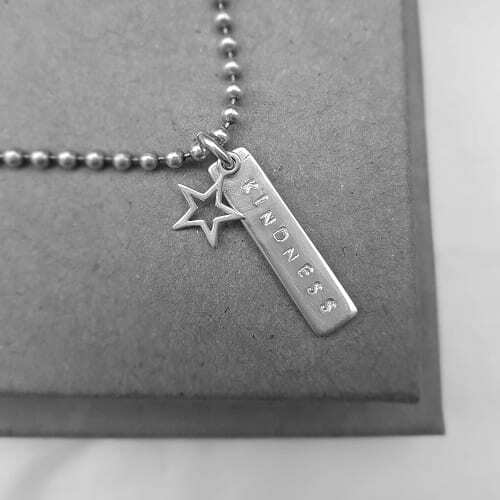 Choose something inspirational, something that will empower you every day you wear it. You will see that some of the examples of this product have other charms hanging on the same link as the word bar. 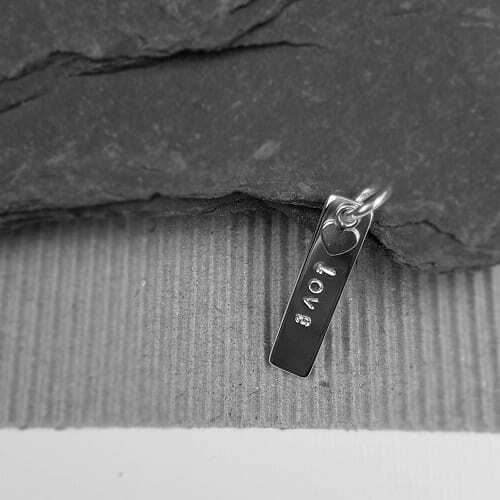 If you would like to add the option of additional charms, you can do so by visiting our symbol and initial charm pages. With a maximum of 8 characters, what will you choose? Please enter your personalisation in your order notes.